Looking for a Gwinnett home inspector that can meet your needs with efficiency and expertise? Stellar Inspections Inc. offers the services you need. With years of experience in the Gwinnett area, Stellar offers professionalism that is hard to find at prices that won’t bust your budget. A home inspection is one of the most important services that requires thoroughness and competence. Unlike some home services, a faulty home inspection could cause much greater problems than simply further renovation. It is absolutely imperative that your home inspector covers every detail, making sure that any possible error is avoided. A number of factors make Stellar one of the best home inspectors Gwinnett County has to offer, and our inspection expert Norman Ellis has the credentials to back it up. With four professional certifications and licenses, Norman has been approved by multiple renowned organizations. Four high-level degrees also decorate his credentials, and he continues to stay involved in the industry to stay ahead of the curve, providing you with services lightyears ahead of other Gwinnett County home inspections. Gwinnett County has a variety of house styles and home constructions, and Stellar Inspections comes equipped with the knowledge to properly inspect every home. With over 3,000 inspections completed in the area, it’s hard to find Metro Atlanta experience like ours. Choose us to make sure that your home is treated the way it deserves to be. Have any questions? Give us a call! Our professionals are ready and willing to help you with any of your needs. We understand how important your house or potential home is to you, and we want to make sure that we provide everything you’re looking for. 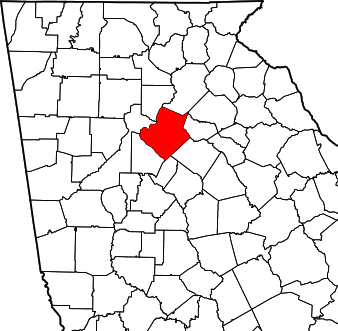 Our office located in Buford is also available to visit, so stop by and talk with our experts in person. We look forward to serving you!